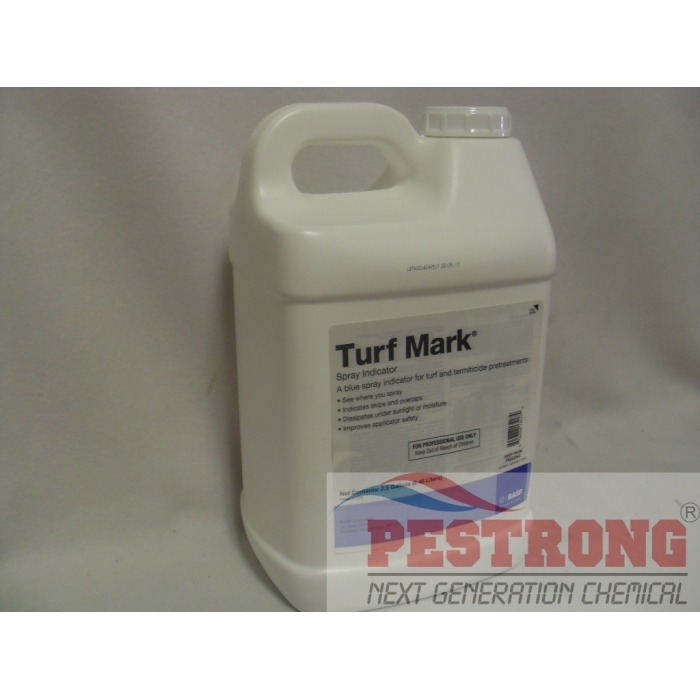 Where to Buy Turf Mark Blue, Turf Mark Spray Indicator Blue Colorant Dye - Qt - 2.5 Gallon - $21.95 for Sale with Fast Free Shipping! 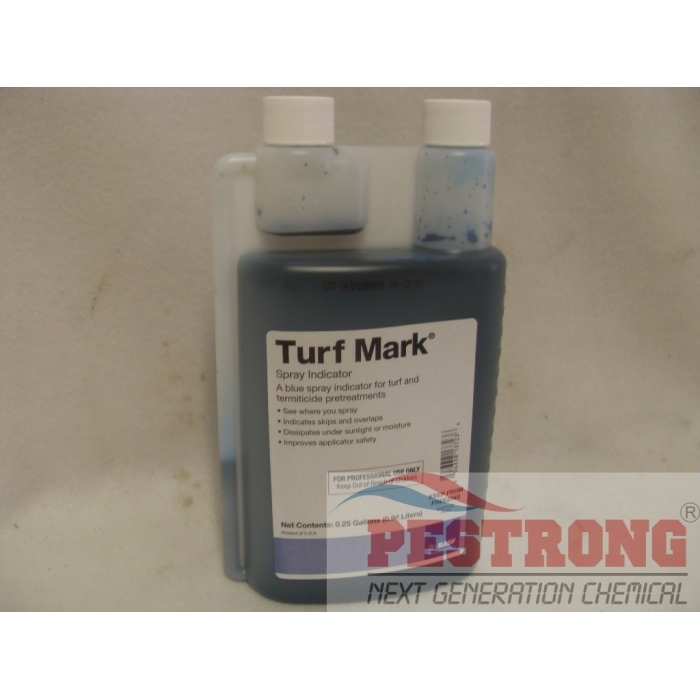 Turf Mark Spray Indicator Blue Colorant Dye - Qt - 2.5 Gallon shown where spray and prevent overspray so save cost and labor. 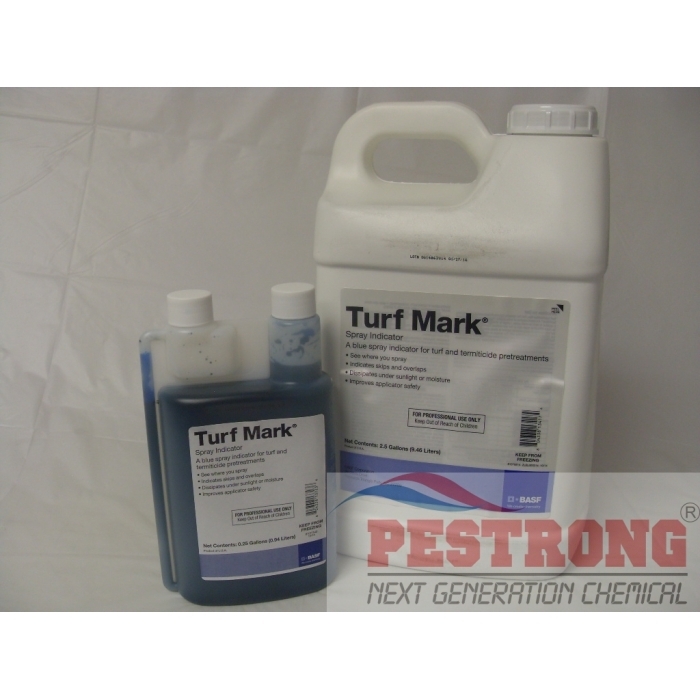 Avenue South Broadleaf Herbicide for.. The highly visible color shows coverage and identifies drift, preventing skips and costly overlaps. The temporary color dissipates over time with sunlight and moisture for discreet applications. It is offered in a variety of convenient formulations like wsp, liquid for mixing in boom, spot-gun, hand-held and other standard spray equipment. This works just fine so cheap and fast shipping, I love it. I mixed accordingly for a 30 gal. sprayer (6 oz used). I could only see the difference in my yard where I had way too much chemical because I was stopped and adjusting the PSI on my sprayer. Everywhere else on the yard, the color difference was not visible. Might work really well on a completely brown (dead) colored yard as I could see it on the sidewalks and white PVC drainage pipes I had. Luckily it washes right off the sprayer and concrete with a little water. The dye itself was supper blue, it looked like it would work better. This does not work at all. I wasted my money on it I first mixed as directed. Didn't do anything so in a 40 gallon tank I mixed 16 ounces which label says that much will do 100 gallons. Didn't work at all. Can not tell a difference with it or plan water. Save your money. This dye works well, is affordable and mixes very well with essentially all chemicals. This is colorant dye which I am looking for.